Our diets aren’t perfect. We can do our best to eat whole foods, plenty of fruits and vegetables and natural sources of protein, but the truth is that our bodies are likely still lacking in nutrients. Vitamins and minerals improve cellular function. What does that mean? It’s not as complex as you think: when our cells are not functioning at optimal levels, we can feel fatigued, have poor memory, and become stressed or anxious. 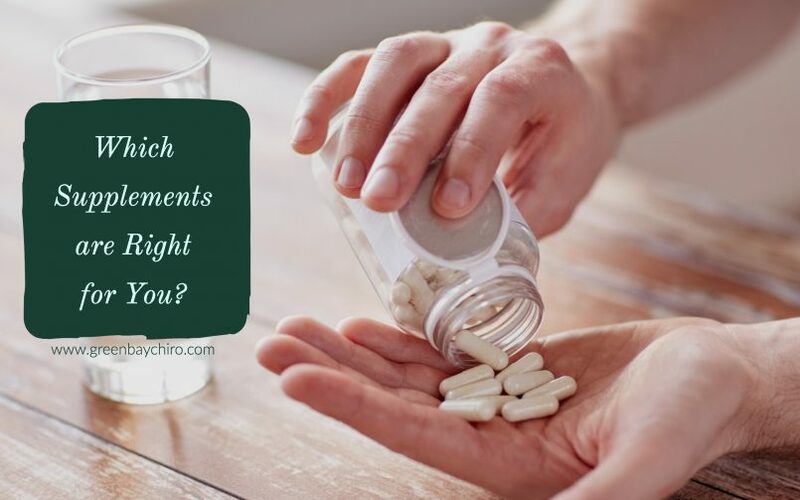 In addition to needing plenty of vitamins and minerals, our bodies also crave probiotics, omega-3 fatty acids, and, depending on your lifestyle, branched-chain amino acids (BCAAs) and protein. As I mentioned earlier, our diets lack optimal nutrients. By taking a daily multivitamin, you can improve cellular function. Our bodies are composed of cells, and when our cells aren’t functioning in the ways they should, we experience a variety of side effects: stress, anxiety, fatigue and poor memory are among them. Speaking of diet, not everyone eats enough omega-3 fatty acids. Fish, among other foods, is very rich in omega-3 fatty acids, but we very rarely consume enough of it to meet our daily requirement. By taking an Omega-3 Fish Oil supplement, you can still reap the benefits of fatty acids without having to eat fish for every meal. Fatty acids lower blood pressure and slow the development of plaque in your arteries, which helps prevent against heart disease, cardiac arrest and stroke. This may sound odd, but probiotics are strains of bacteria that help balance your digestive system. There is such a thing as “good” bacteria versus “bad” and probiotics are very “good.” When your digestive system–namely, the bacteria in your gut–is balanced, your body is able to break down foods efficiently in order to extract nutrients and maintain healthy function. When proper digestion occurs, you can experience results like weight loss, immune system improvement and overall digestive health. Bonus: if you are active or are hoping to reach specific fitness goals, you can introduce some additional supplements to your diet, such as branched-chain amino acids and protein. BCAAs help you to build muscle, reduce muscle fatigue, and help you keep building muscle as you burn fat throughout your workout plan. By increasing protein synthesis, BCAAs encourage muscle growth and retention. Couple that with better endurance during exercise (increased energy), and you set yourself up for great results. BCAAs are best consumed before, during and even after a workout. Most are available in drink form, so they’re very convenient (and often great-tasting). Now that we’ve covered protein synthesis, let’s get to what protein actually does for you. Protein is more satisfying for your body than both fat and carbohydrates, helping you stay fuller longer, which, in the long run, helps you burn fat. Protein also helps you build more muscle faster, helping you reach fitness goals or increase your strength, which, in turn, helps you burn more fat! While our diets often include plenty of protein, protein supplements (shakes & bars) are convenient ways to add in a little extra protein. You can drink a shake or bar post workout or before bed, depending on the type you are considering. With all supplements, customization is key. If you want to use supplements that will be most effective for your body, I can help you. There are plenty of options in each category, and that can get very overwhelming if you are trying to make decisions on your own. Schedule a consultation with me and I’d be happy to walk you through a supplement plan!